As we all know that physical exercise is so important to keep our Body healthy and Strong. There are many Physical Exercises available in Gym Centers. But it is not necessary to go to Gym and do some Physical Exercise. We can do so many other things, For example Gardening, Yoga, Walk etc. Here in Canada, due to Snow in Winter, I myself Stop Walking in Winter and may be many Elder People or due to busy lives nowadays, sometimes even despite of having good weather, we can’t do Yoga, can’t go to Gym and even can’t go for Daily Walk, then Indoor Cycling Bike is so beneficial, which we can do for 15-20 minutes or even less or more according to the Capacity of our Body and availability of time. 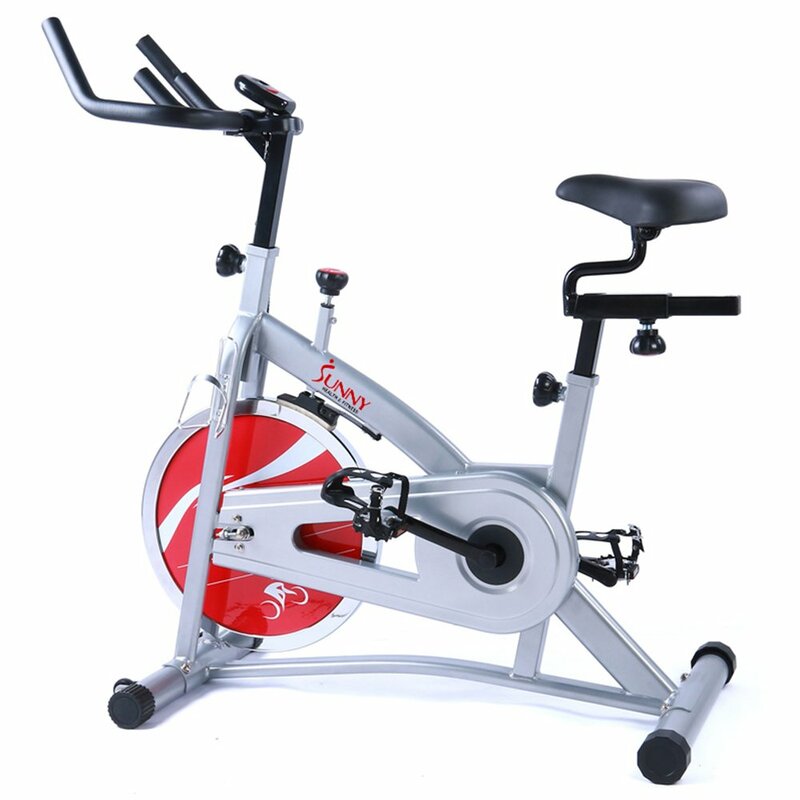 Indoor Cycling Bike Helps to Burn Calories: To lose Weight and get in Shape, we must Burn more Calories than we Consume. 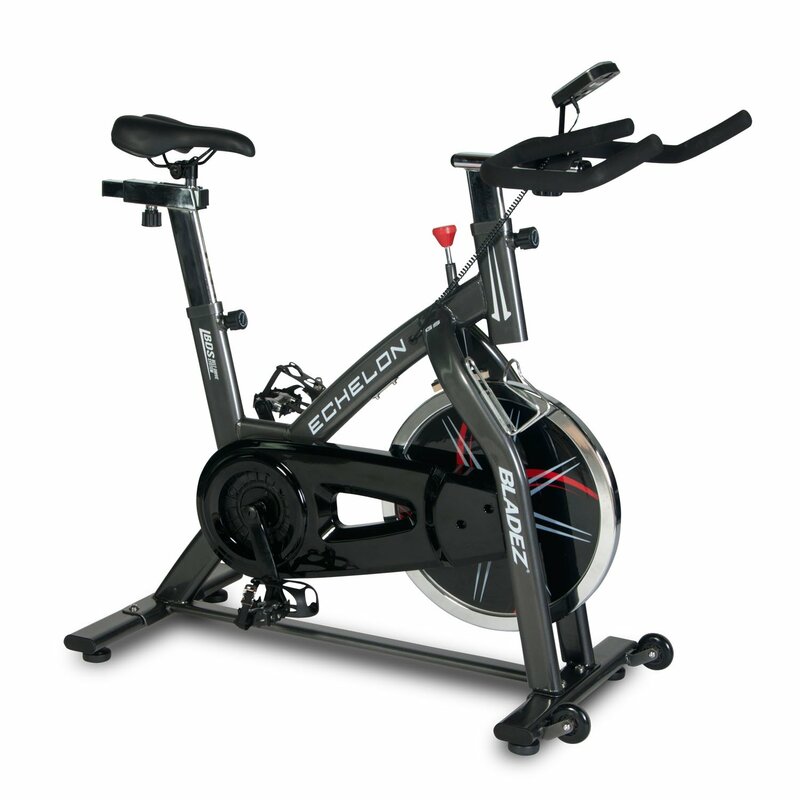 A Good Thirty Minute workout of Indoor Cycling can Burn as much as 500 Calories. Increase the amount of Calories you Burn by pedaling Faster or Adding more resistance to your Bike. This kind of Exercise also builds Muscle. Low Impact: Indoor Cycling is Low Impact Activity. 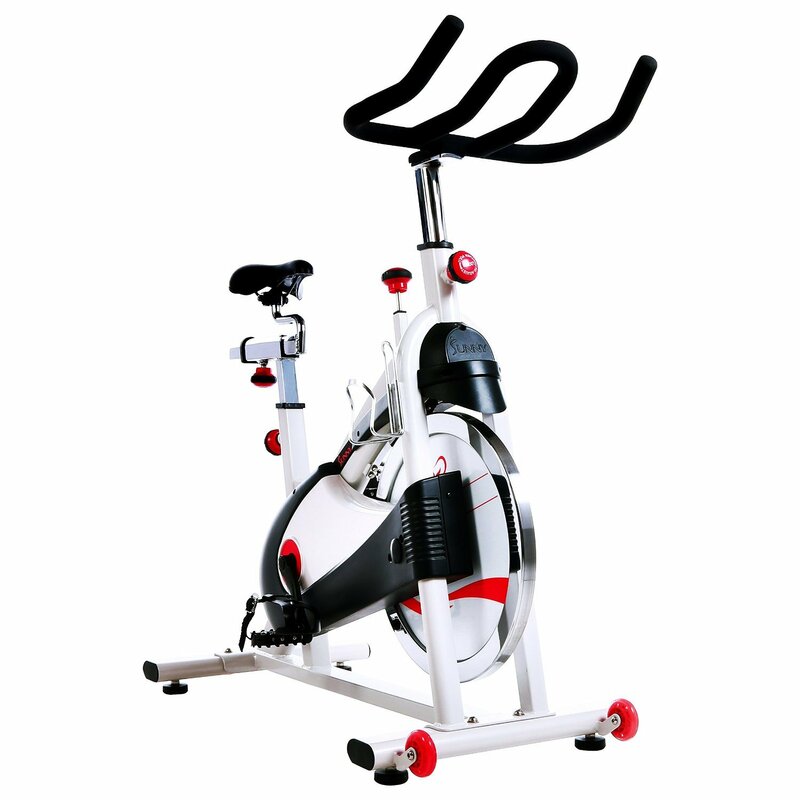 Especially people, who are recovering from Orthopedic Injuries can do Indoor Cycling easily as part of their Rehabilitation Protocol. More Health Benefits: Indoor Cycling has so many Health Benefits. 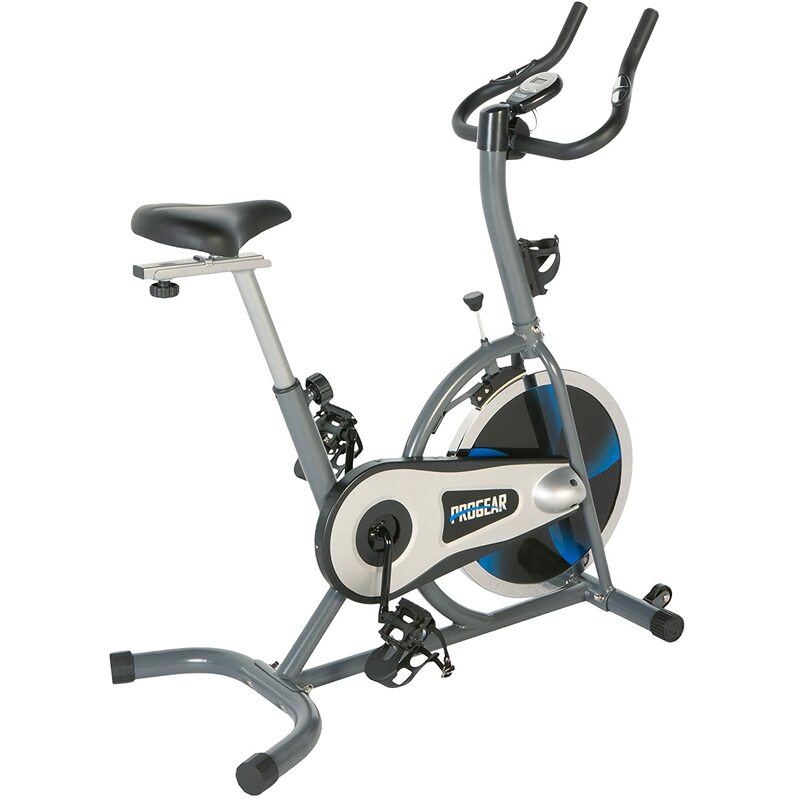 Regular Indoor Cycling Support a Wide Variety of Health Benefits. Regular Exercise Boosts your Immunity and your Mood as well. 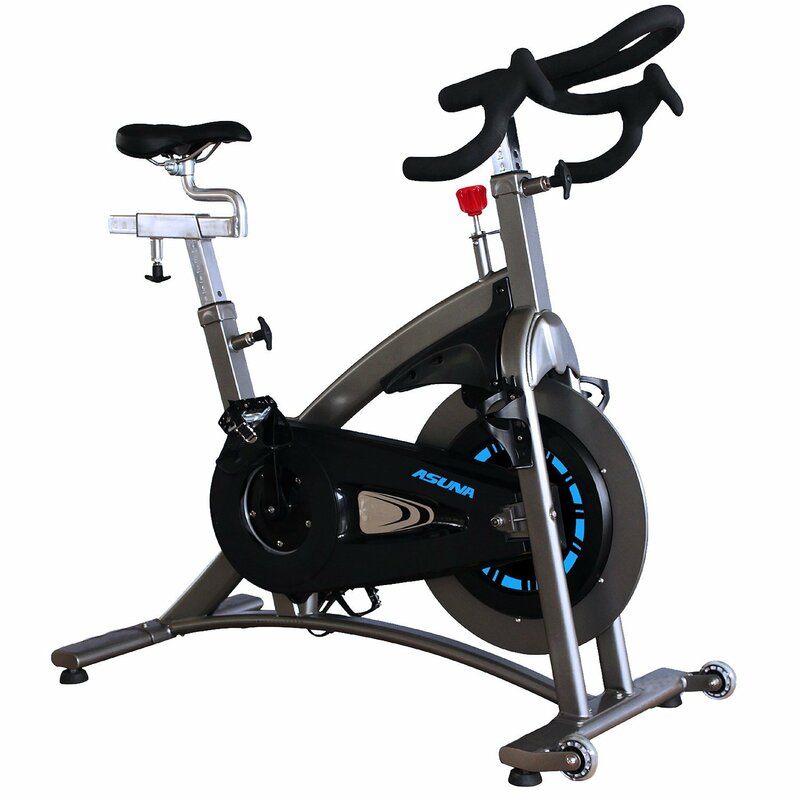 Sunny Health & Fitness SF-B901 Pro Indoor Cycling Bike offers all of the necessities for an amazing cycling workout along with everything at-home fitness enthusiasts could wish for. With total portability with transportation wheels for easy set-up and hide-away, your home will transform into a Gym and back in no time! Exercising in the Comfort of your own Home has never been so easy, convenient, or fun, because sometimes due to Weather Conditions, Job Pressure, we feel lazy or hard to go to to Gym! 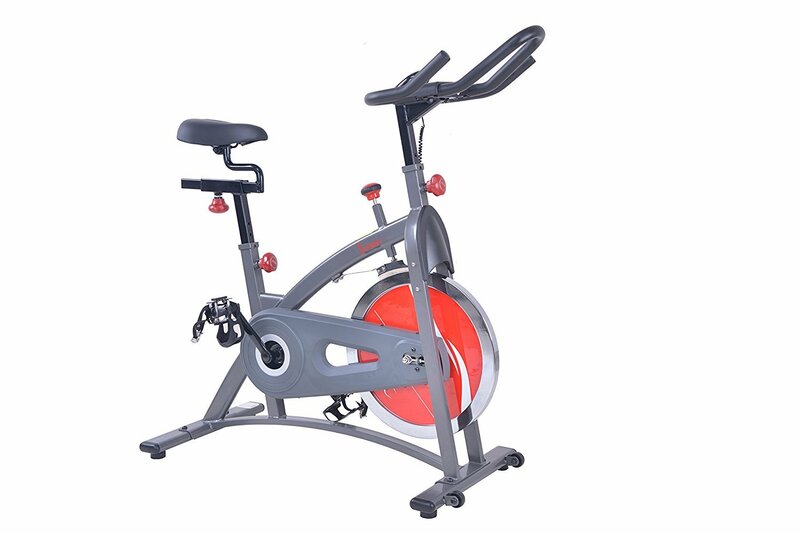 Not only this Gym fee is expensive, which everybody can not afford, but Buying a Indoor Cycling Bike is one time Expenses, then it can work for years to come. 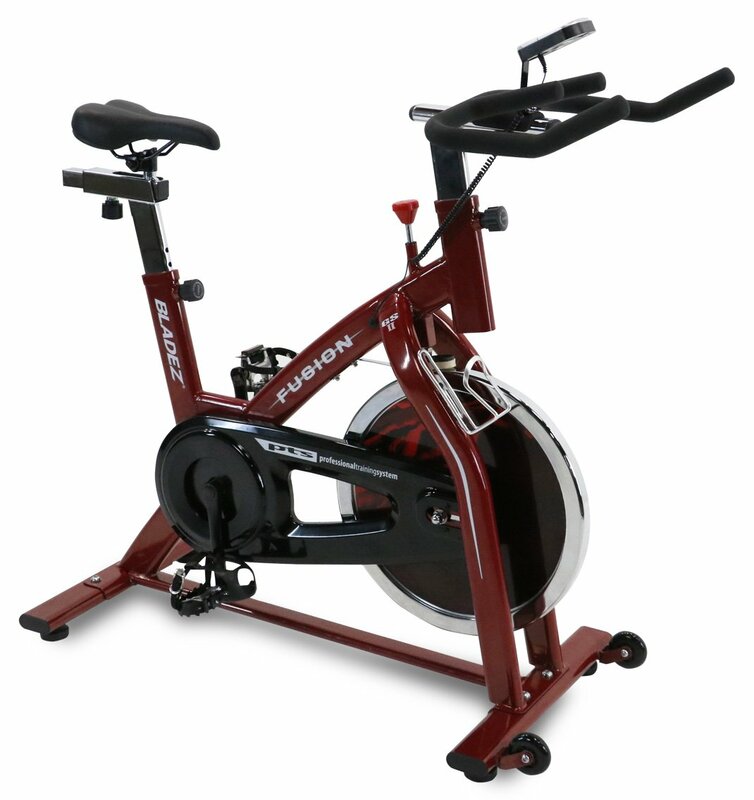 I have my own Indoor Cycling Bike, which I bought five years ago and still it is in very good condition. So why not Buy your own Cycling Bike to Enjoy forever and get Benefits from it!! The heavy duty steel frame and crank adds essential quality and Durability to go the distance, no matter what your fitness goals. Adjustable resistance systems; transport wheels. 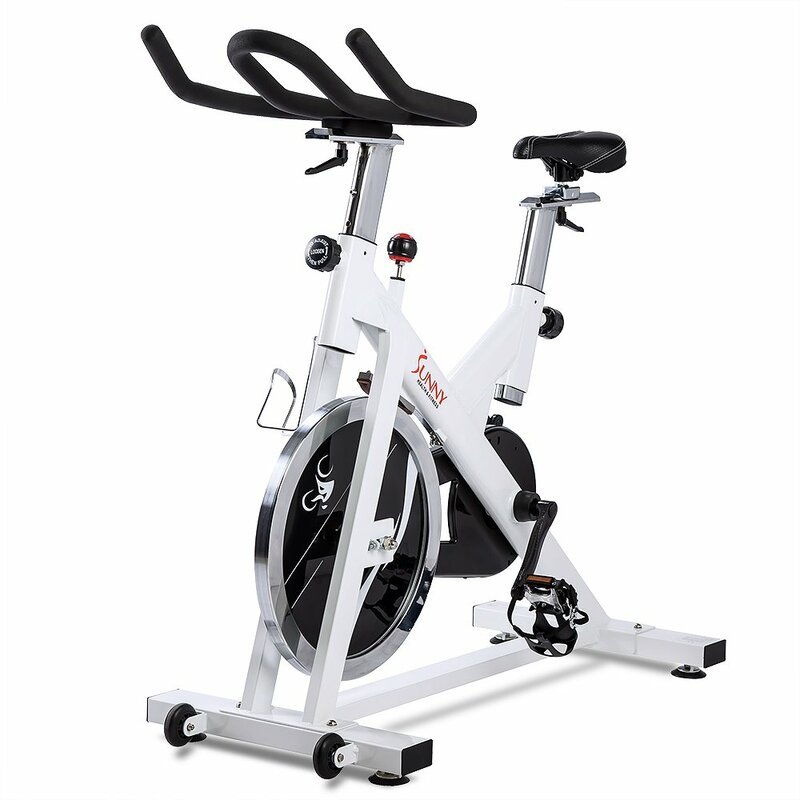 The SF-B1423 indoor cycling bike offers all of the necessities for an amazing Cardio workout along with any and everything all at-Home fitness enthusiasts could wish for. Exercising in the Comfort of your own Home is Easy and Convenient rather than going to Gym! 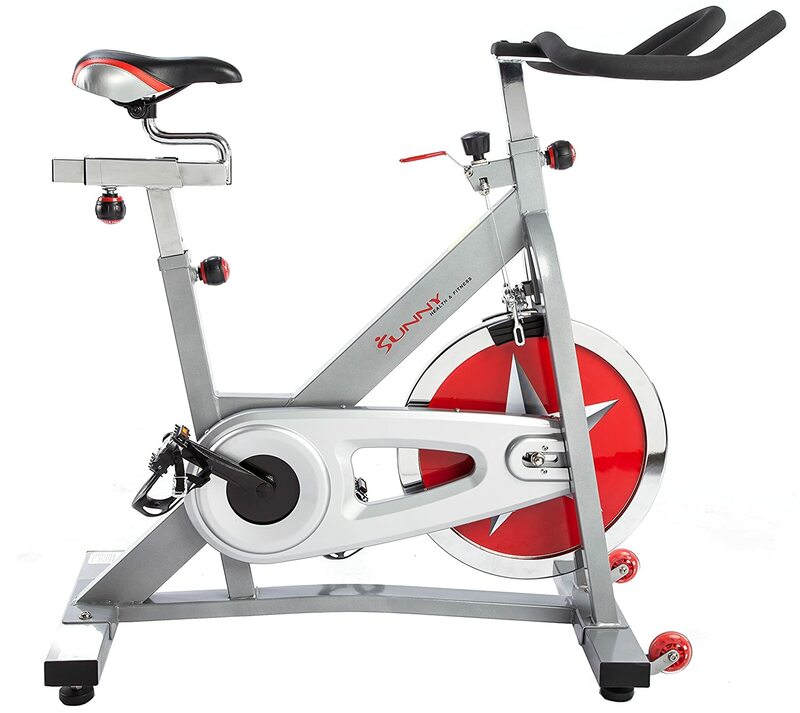 The Sunny Silver SF-B1110 & SF-B1110S Indoor Cycling Bike is built of solid steel and durable plastic with transport wheels so it can easily be moved around. 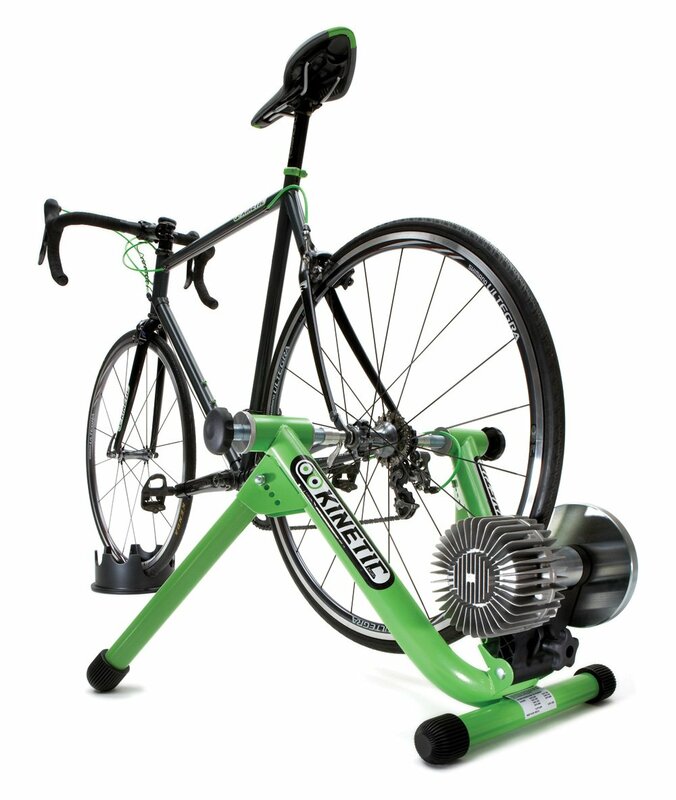 Most importantly, the Indoor Cycling Bike is versatile. With a fully adjustable seat and handlebar you’re guaranteed to be comfortable while you get your burn on. And if you’re in the mood for a challenge, an adjustable resistance can make peddling as difficult as you want. Motivational LCD console displays; time, speed, distance, total distance, Calories with Scan feature. 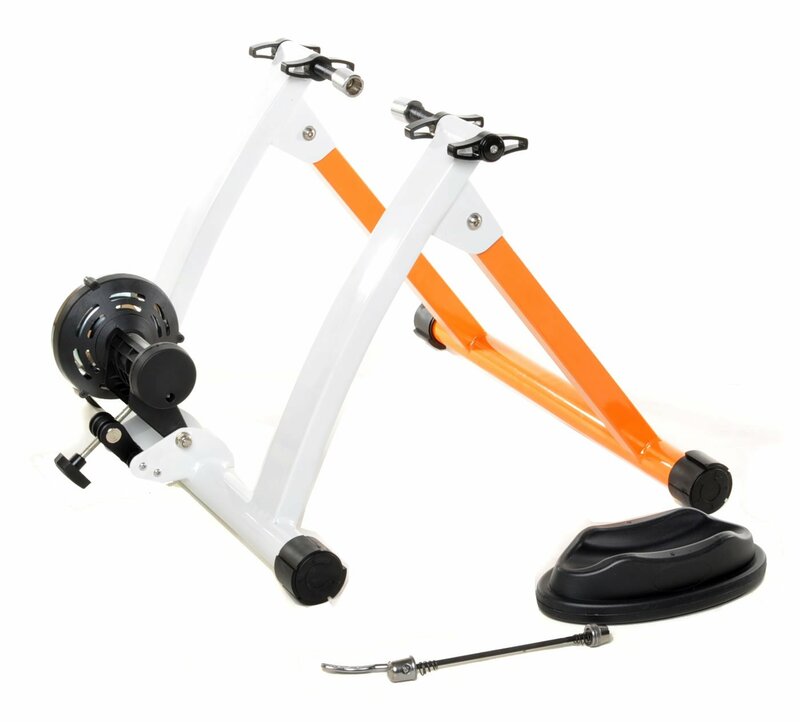 Exerpeutic Folding Magnetic Upright Bike with Pulse can be folded up and rolled away when you are finished exercising. 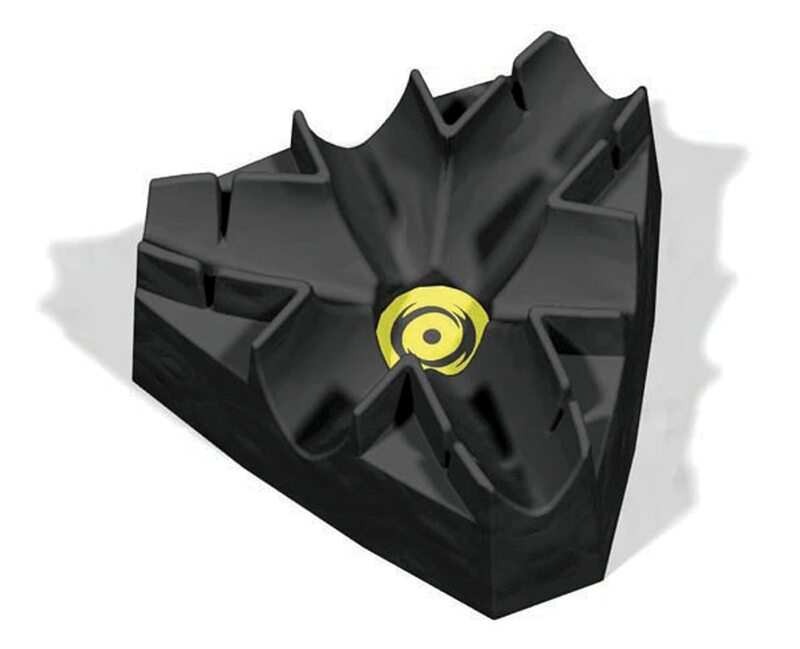 It is also designed to support up to a weight capacity of 300 pounds. 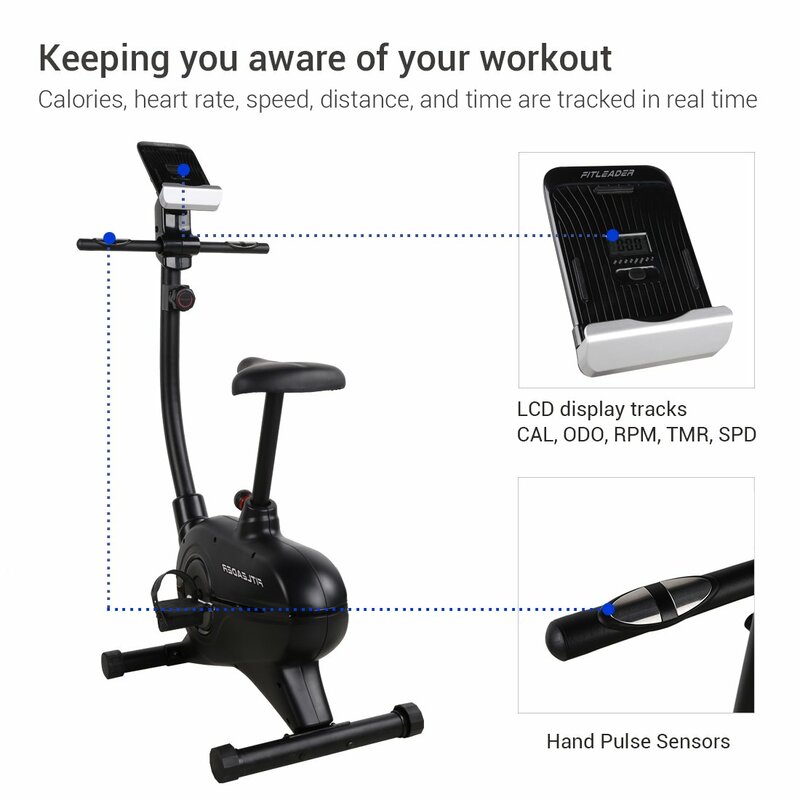 Features like the ‘high torque’ 3 piece crank system, magnetic resistance, heart pulse monitoring and a ‘double drive’ transmission system are all included for a very affordable price. 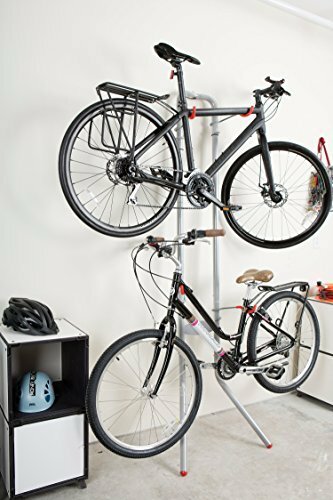 The Conquer Riser Block is designed to keep your bike stable and level while using on an indoor bike trainer. 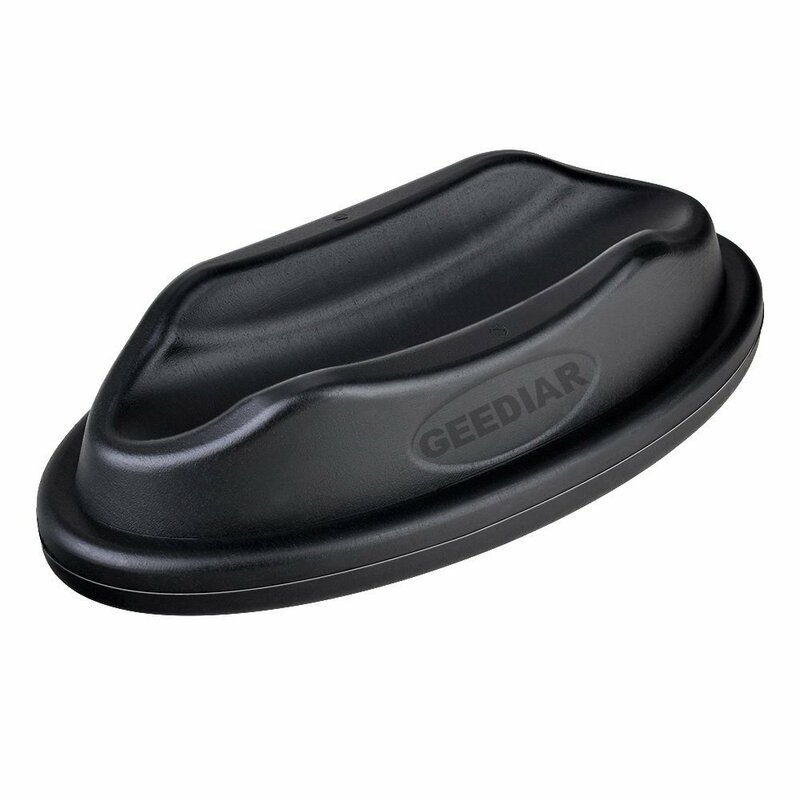 It has padded feet to protect flooring and prevent slipping. 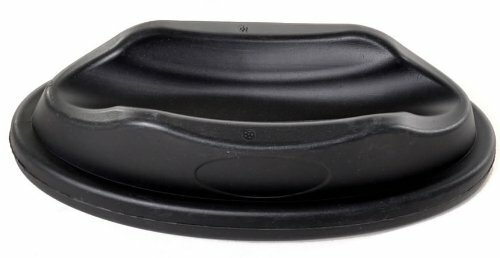 Plastic Moulded wheel rest for use with turbo trainer. Fit with 95% size of bike except Beach Cruiser. Dual action click and caged combination pedals and reliable heavy duty crank. The new standard in home fitness! 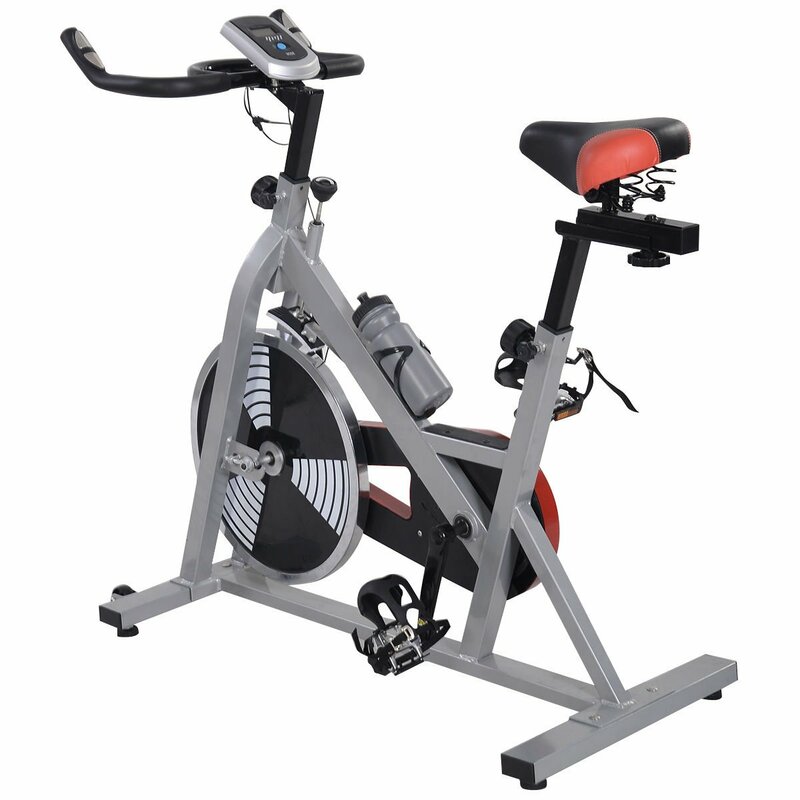 The P8100 Indoor Cycling Bike offers all of the necessities for an amazing cardio workout along with any and everything all at-home fitness enthusiasts could wish for. Heavy duty steel frame structure. Cast iron inertia Driven flywheel with a chrome rim weighs 22 lbs and is smooth and consistent when pedaling. 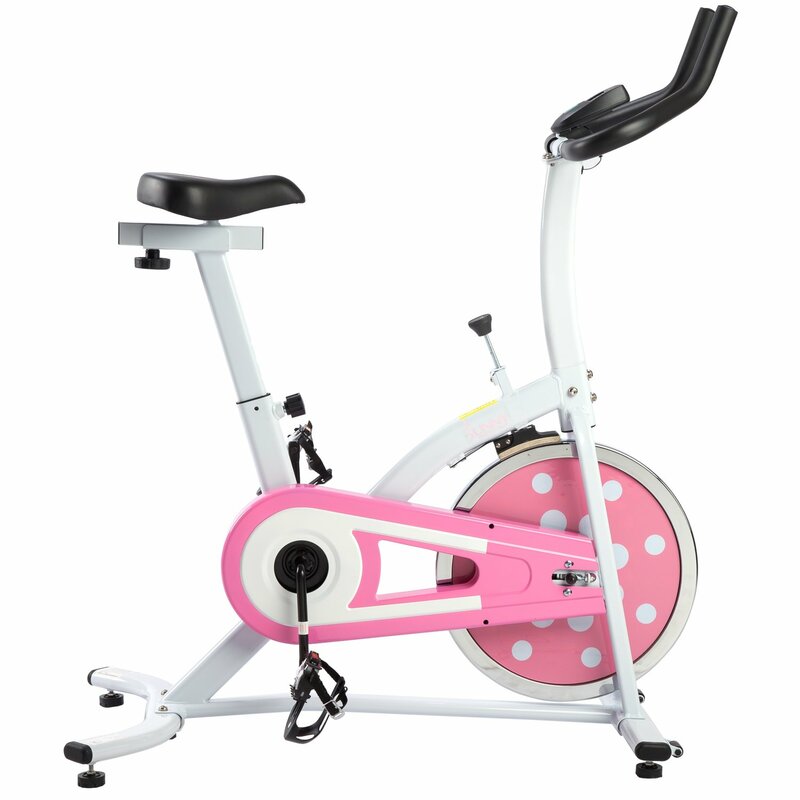 Beautiful Design and Reasonable Price for this Cute Cycle!! Relax Feeling: – Usually the next day after a bike ride, spin class or exercise bike workout sometimes you barely move until the pain goes away. Avoid the pain and don’t let the pain stop you in your goal. Independently adjustable arms accept any frame, including sloping top tubes. 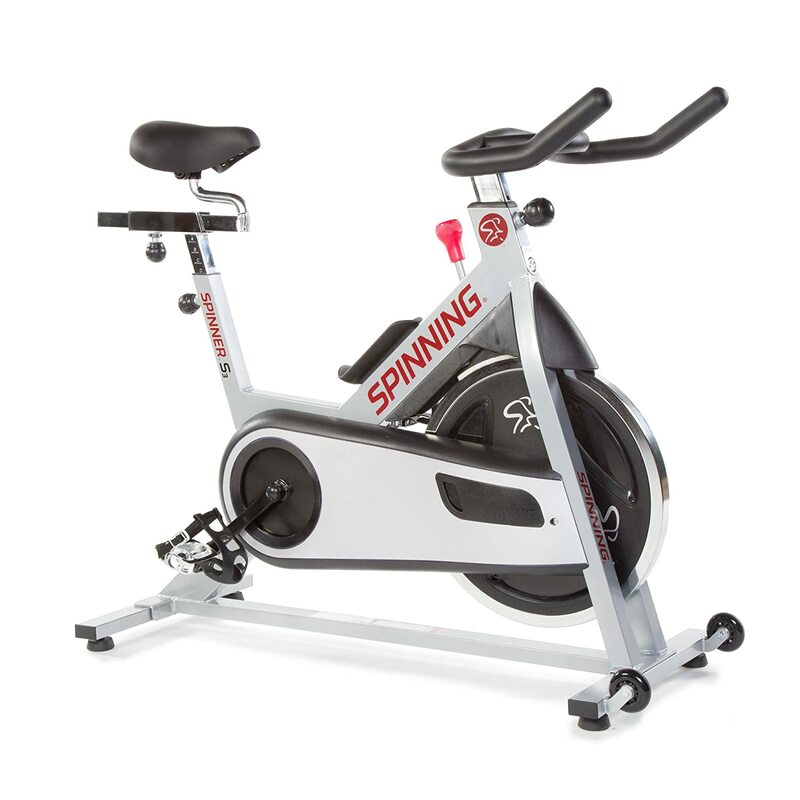 This stationary cycle delivers a smooth operation with its belt-driven tension and 40-pound flywheel. 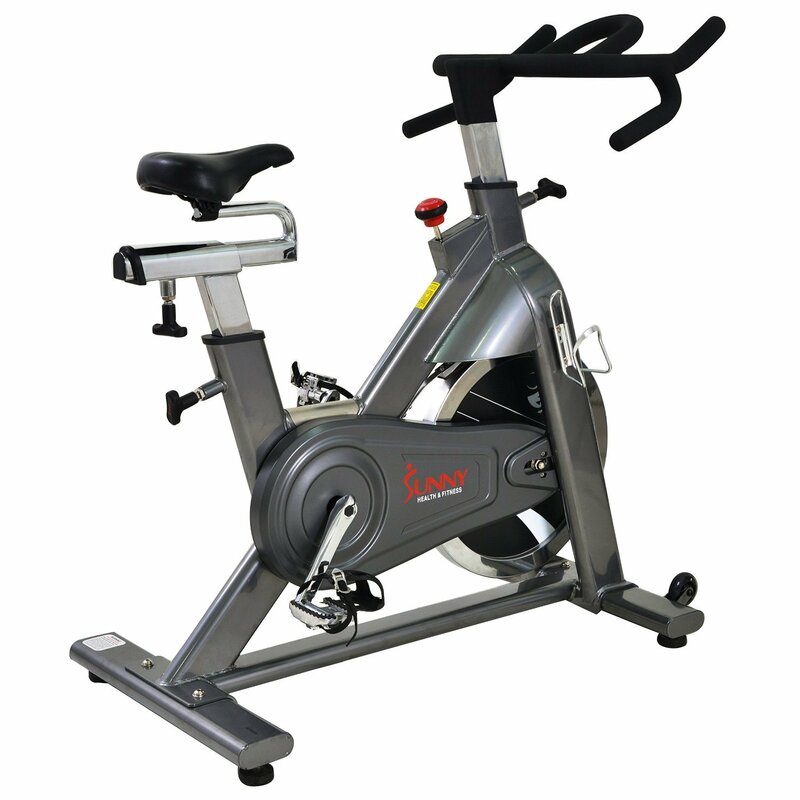 It boasts durability and functionality of a health club-quality exercise bike. 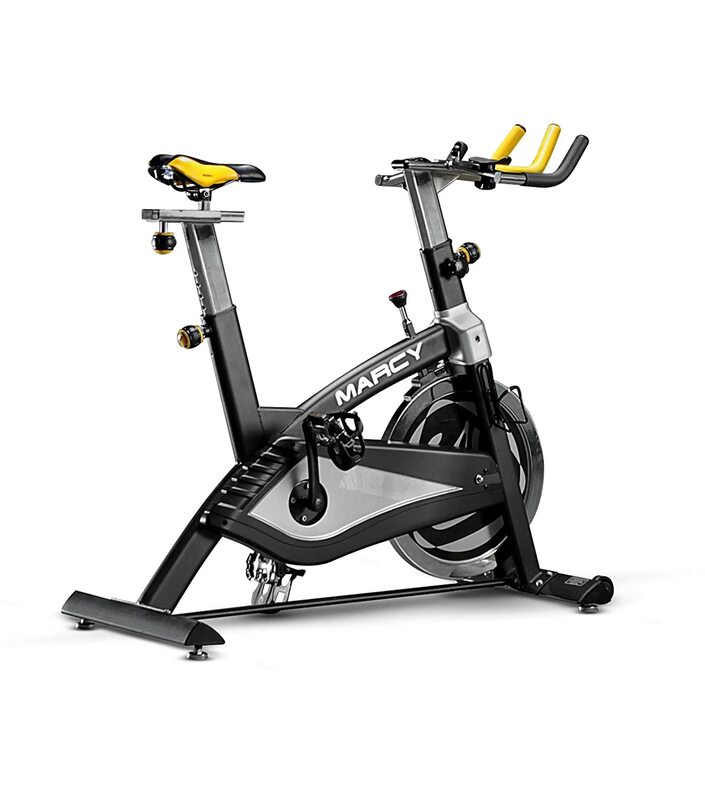 The Marcy Club Revolution Cycle features manual resistance that can simulate different terrains. 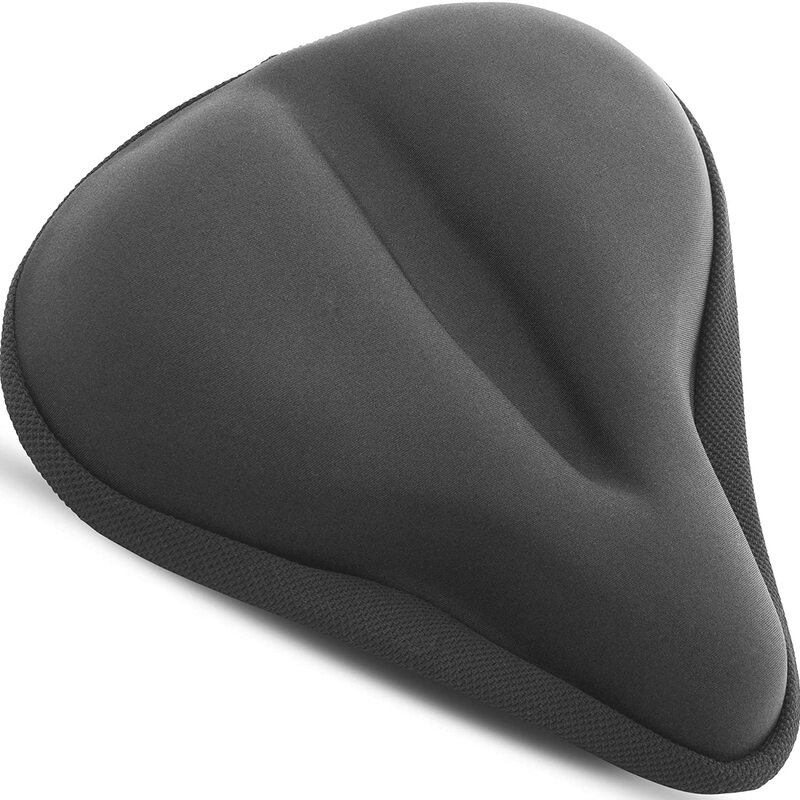 Adjustable padded seat offers two-axis adjustment which makes it possible to be used by people of various heights. 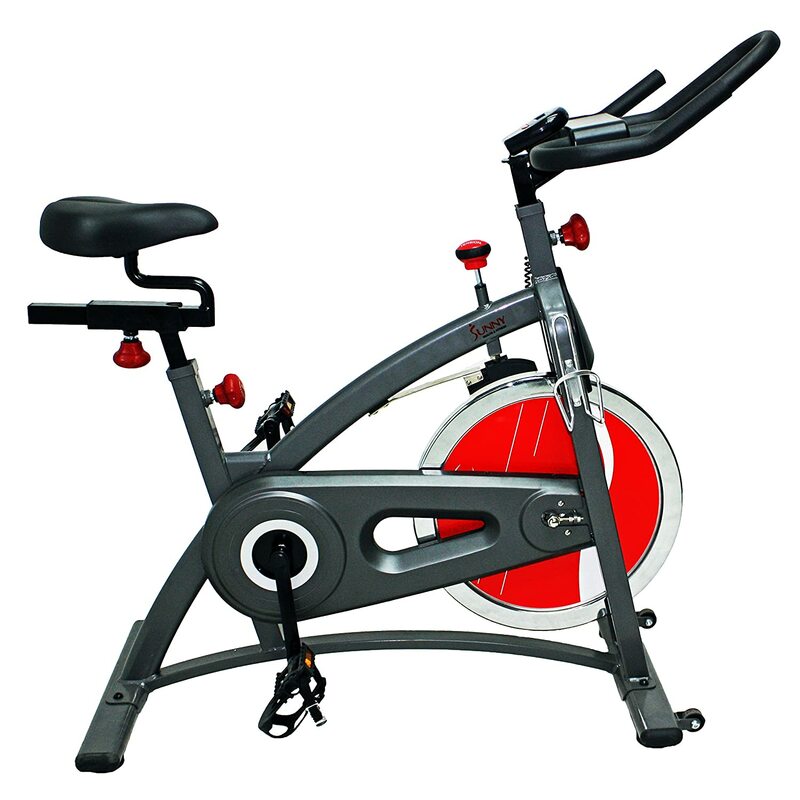 This exercise bike is designed to provide the best cardio workout possible without ever leaving the house. Transport wheels to move bike location easily. Chain drive mechanism; micro adjustable resistance with press down braking System. Smooth and Quiet Belt Drive Ensures Silent Workout. Fore/Aft and Up/Down Adjustable Seat and Handlebars. LCD Monitor Displays Speed, Time, Distance and Calories. Smooth and quiet belt drive ensures a silent workout. Micro-adjustable resistance knob with press down braking system.